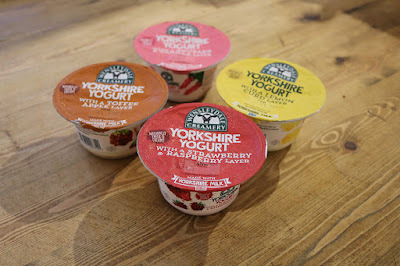 Breadsticklers - A Leeds Food Blog: Yorkshire Yogurts! Wensleydale Creamery launches a new luxury yogurt range. As most food producers they were keen to stretch their legs a bit (just like Tyrell's and their successful vodka exploits) and see what else they could apply their specialist knowledge too. 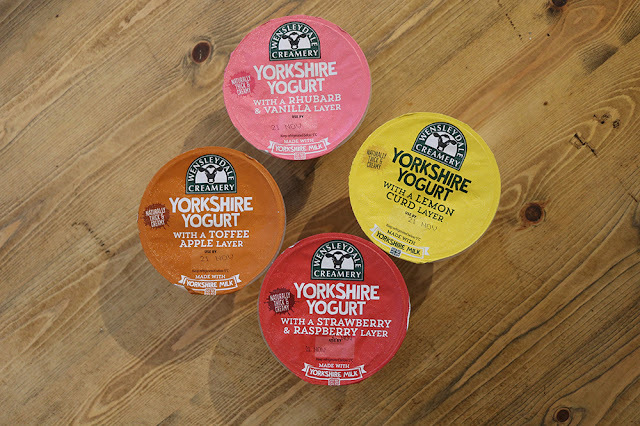 Wensleydale creameries yogurts have been appearing on shelves since June, with a few retailers on board already such as Asda, Tesco, Co-op and a few independents. So what makes Wensleydale's yogurts a luxury? Well first of all they have a layer of fruit, slightly different from your average petit filous, second they only use premium ingredients and thirdly and most importantly, they're from Yorkshire (the most luxurious county there is if you didn't know!). The price is fairly reasonable at 79p a pot and a few three for £2 deals have been banded about too. 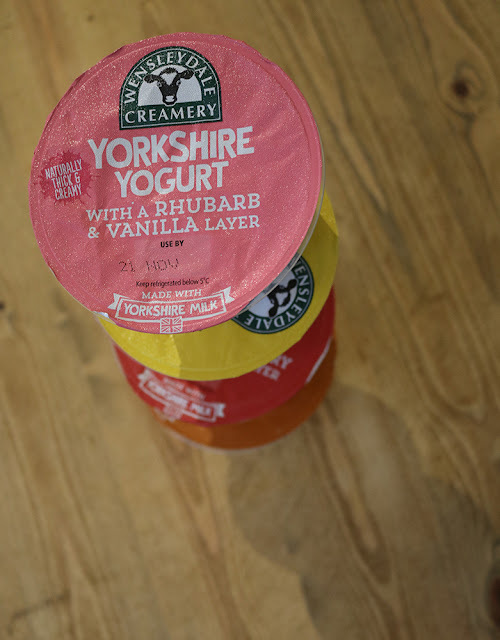 The definitely compete with some of the more well known brands and I think I preferred it to it's natural comparison of fruit corner, the yogurt part of the pot being much more creamy and less artificial in taste. The yogurts are also suitable to vegetarians (although clearly not vegans). I love the area that Wensleydale resides in and a quick look at the website tells me that you can visit the creamery for a mere £2.50 per adult (£1.50 for a child or £7.50 for a family ticket). Stay tuned for a future summer post in which I go and explore whilst trying not to spend all my money on cheese, butter and yogurt! Have you seen Wensleydale's yogurts on the shelves? Have you given them a taste test? What did you think?